Our professionals have combined their proven techniques with the video-assisted Rotobrush Air Duct Cleaning System. This advanced cleaning method is the only one available that brushes and vacuums at the point of contact, eliminating the use of harsh chemicals such as sealers. You are left with the assurance of fresh, clean, and virtually contaminant-free air in your home and office. 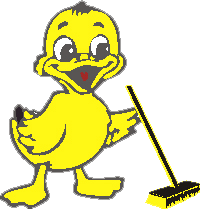 We clean the register covers to remove cooking oil film, nicotine film, and other dust-collecting substances. We deep clean the source of the air supply including (where applicable) the blower, squirrel cage, coils, condensation pan, and return air supply. 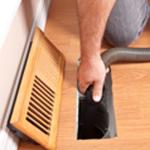 The air ducts are then brush-vacuumed clean with our exclusive, patented, Rotobrush. The Rotobrush removes the contaminants that circulate through the air duct system. We will sanitize your air ducts and vents with an environmentally-safe sanitizer commonly used in hospitals and nursing homes, leaving behind a fresh scent. Our video inspection system shows you where the trouble spots are, and verifies the job was done right!